Am I really in Rome for two days? Wake up Dan, you're dreaming, you can’t finally be in Rome. 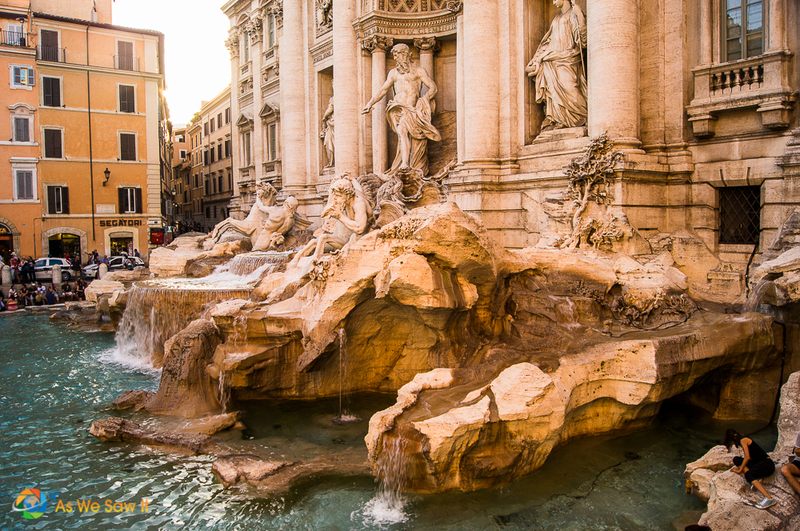 It must be a dream, a fantasy … all because it's your birthday and you’ve always wanted to go to Rome. Well, I guess it's true, I'm spending two days in Rome for my birthday! 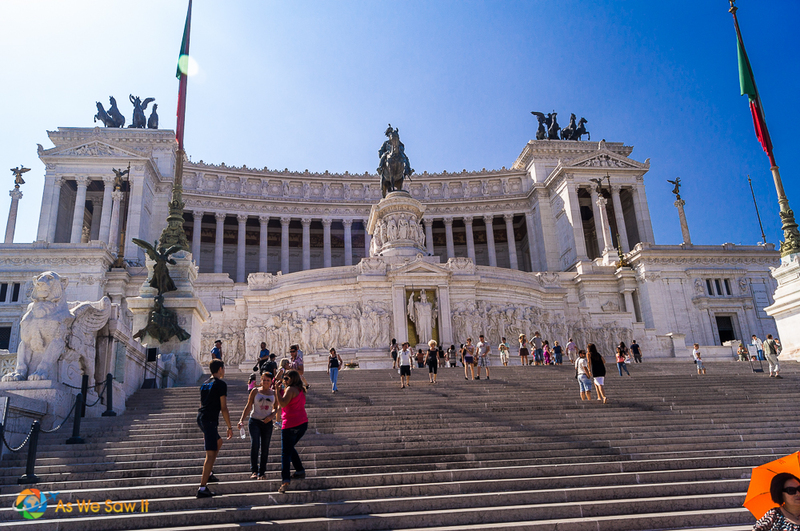 It was a great plan coming together, because after Nana got to visit Paris, now I get to see Rome. Where to start in such a glorious city? Way too many sites have been unfairly distributed to this one place. I think we should begin with the Colosseum. 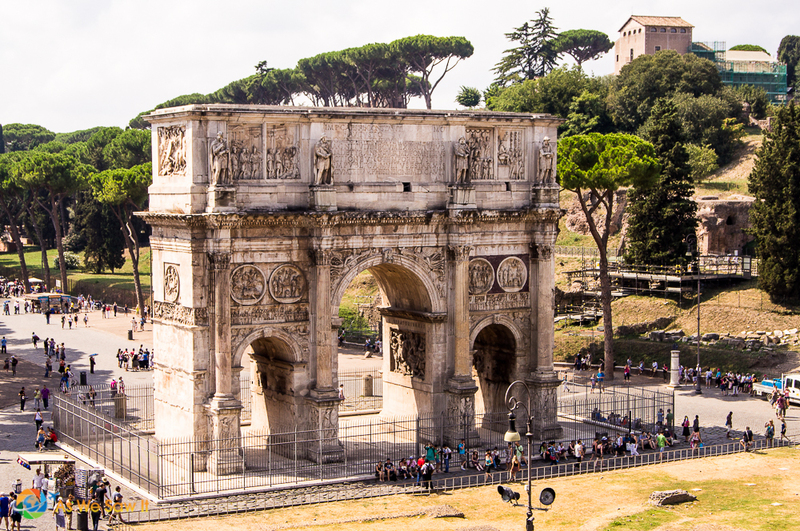 What a magnificent structure it is, and it is still standing after two thousand years. This is a building of legends. 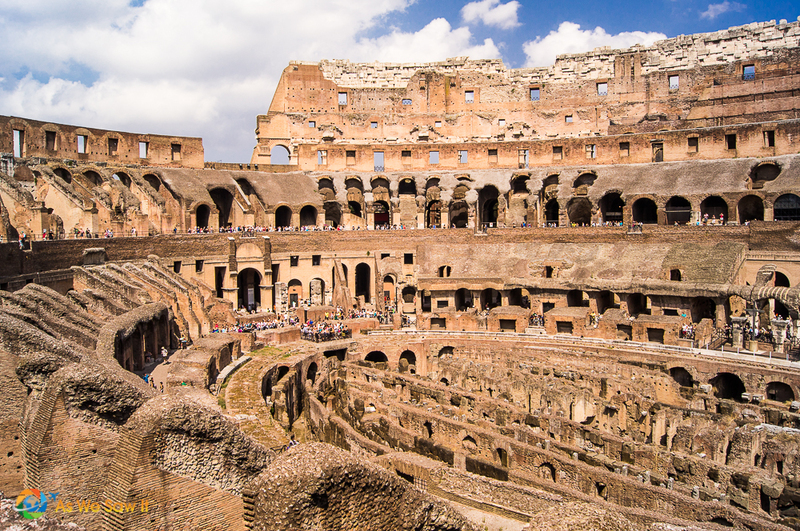 The Roman Colosseum is an amphitheater built by Emperor Vespasian around A.D. 70-72.It was known as the Flavian Amphitheater when Vespasian’s son Titus finally opened it just 8 years later. The government hosted games here as entertainment for the public. 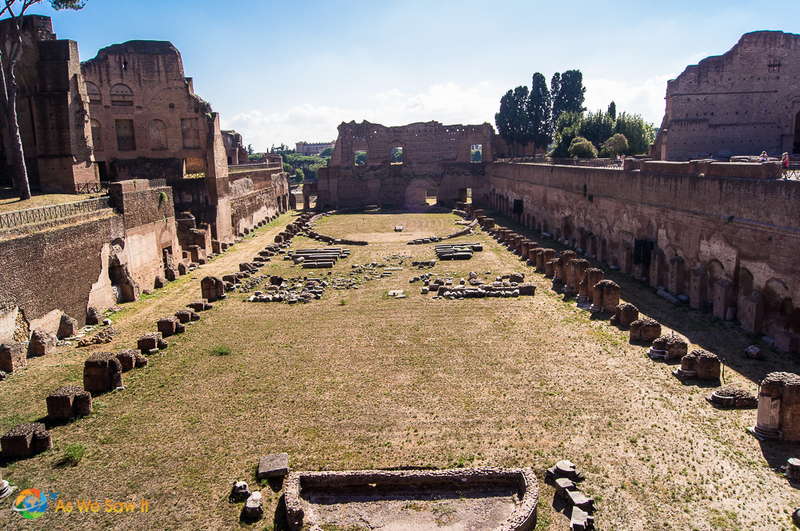 For them, gladiatorial combats, wild animal fights, and even torture were all entertainment. 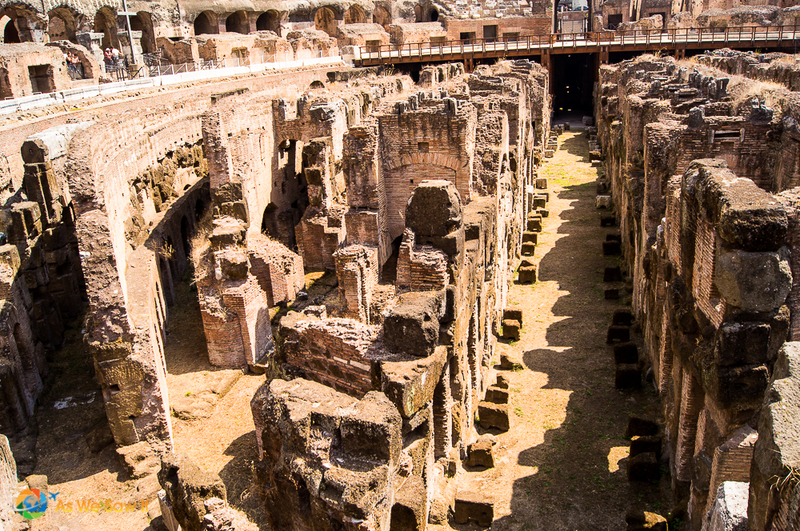 The colosseum originally had a wooden floor, but all the once-hidden passageways and chambers are exposed. 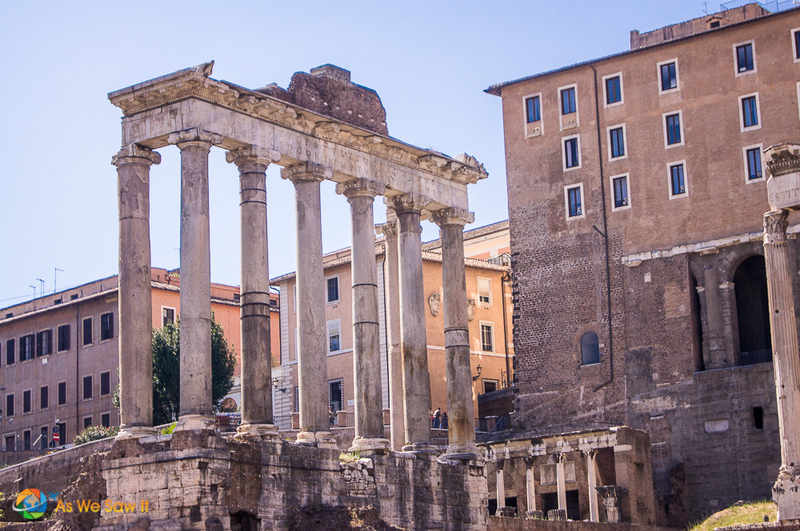 After four centuries of games, it was neglected until the 18th century, when they began to restore the damage it had endured over the centuries from fires and earthquakes. 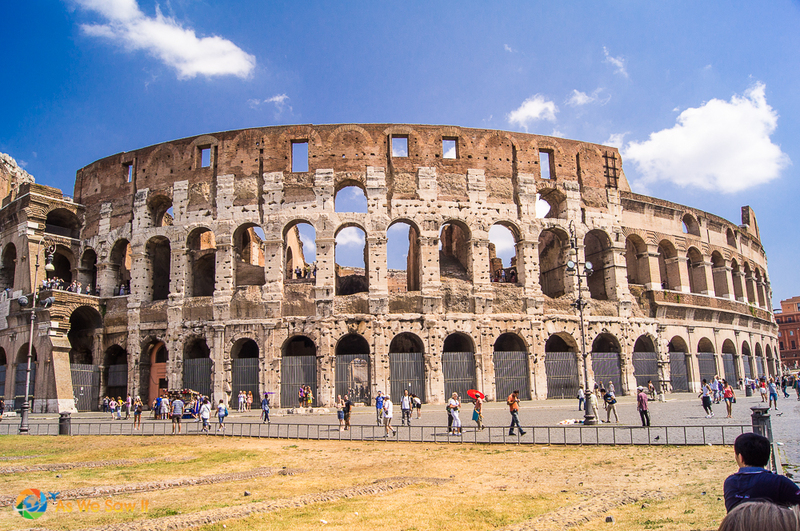 Now the Colosseum is an iconic symbol of Rome and a Bucket List item for tourists like me. 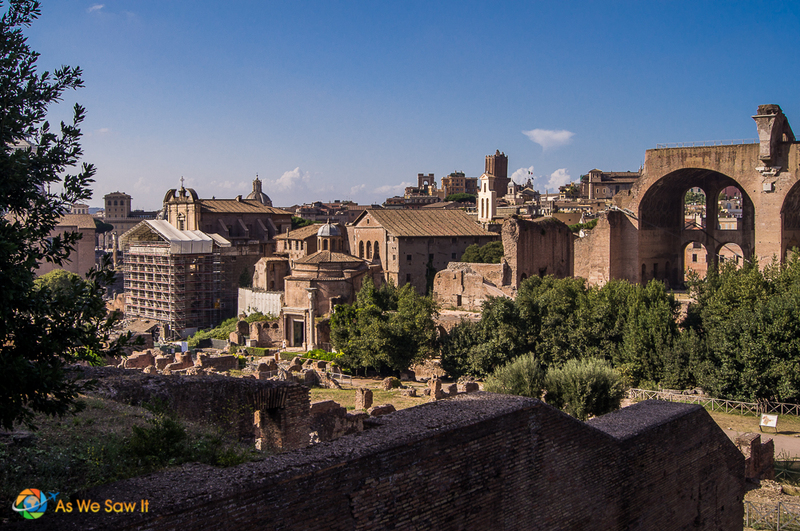 Rome which was built on seven hills, and Palatine Hill is the center-most hill of all. 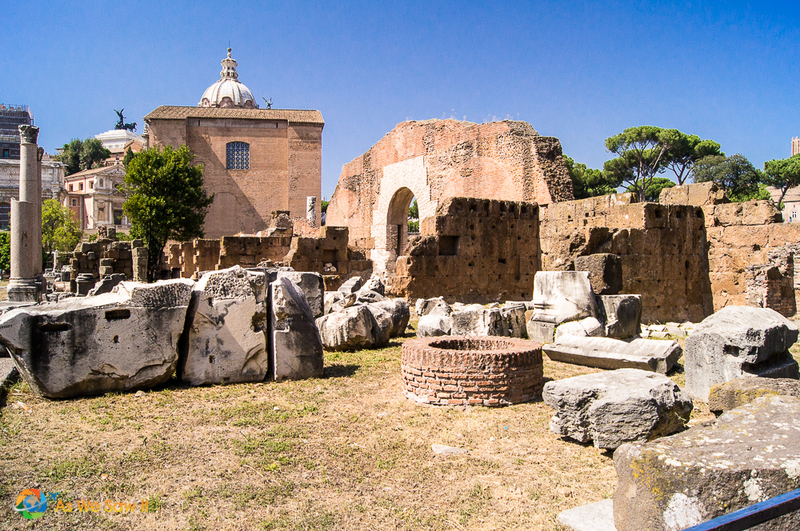 Being the center of Imperial Rome, Palatine Hill houses great attractions like Circus Maximus, the Colosseum, and the Roman Forum. 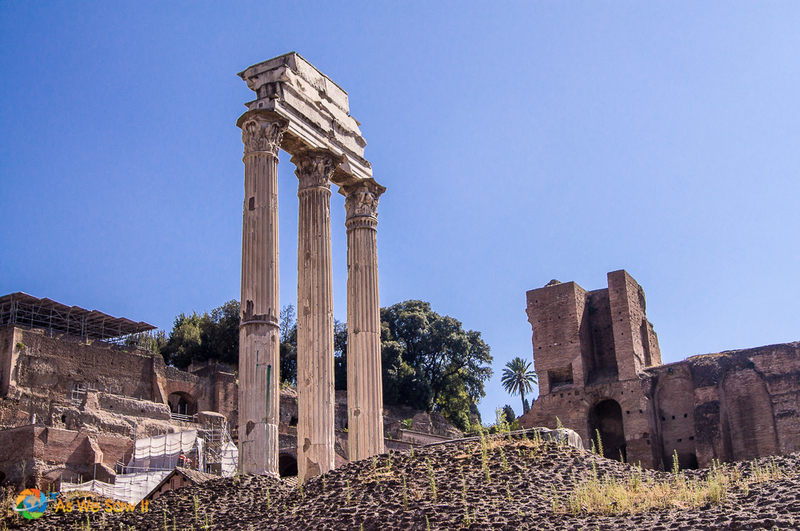 The hill is tied to Roman mythology because it is believed that the twins Romulus and Remus were found in the Lupercal Cave by their wolf mother. 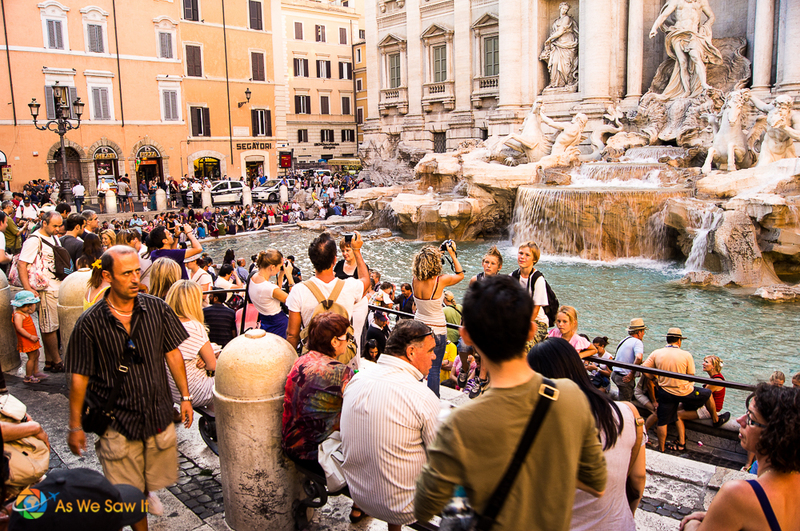 Walking around Rome is easy, but crowded during our visit. Rather than fight traffic we took the Hop-on Hop-off bus tour which gave us a good overview and made getting from site to site far easier. 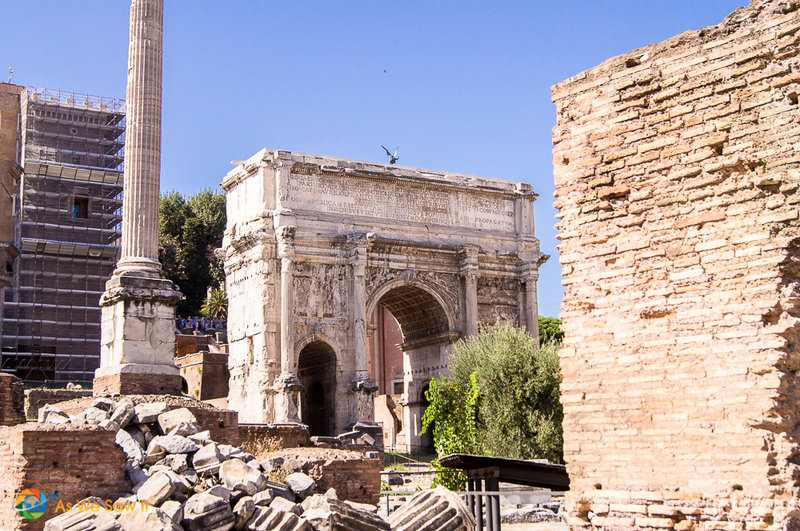 It didn't take long to admit that we need to plan more time in Rome as there is so much to see. We had so little time during this trip, but two days are better than none, right? 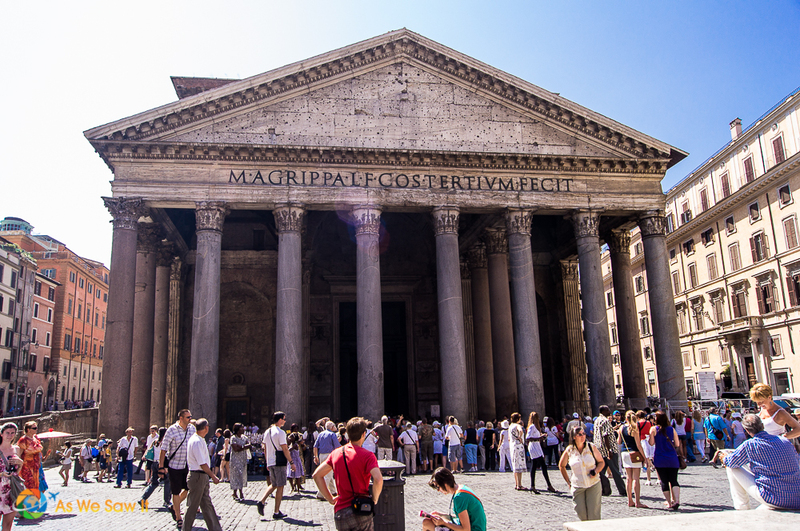 The Pantheon was originally built in 27-25 AD to commemorate the victory of Actium over Antony and Cleopatra. 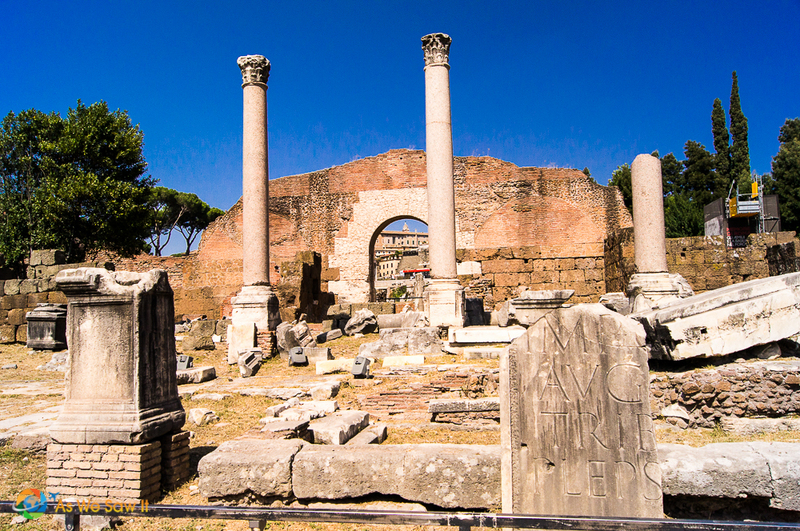 It was a functioning temple with statues of various Roman gods filling the niches. Animals were sacrificed and burned in the center; the smoke escaped through the oculus above, the temple's only means of light. 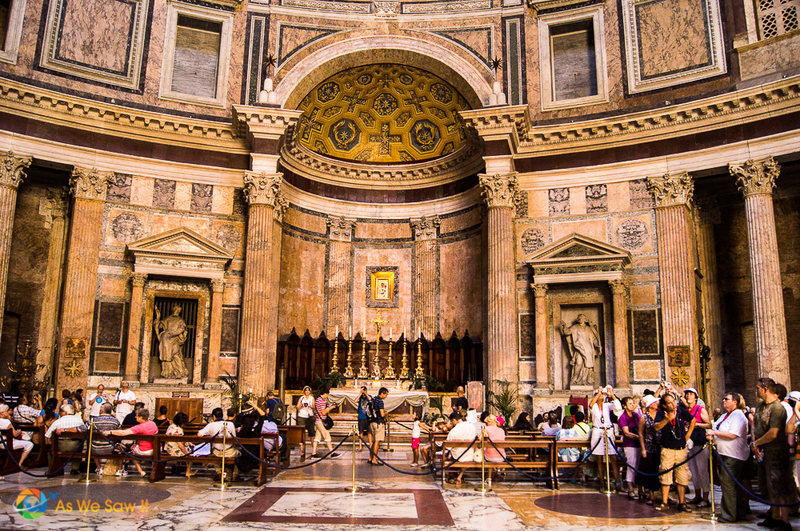 Now the Pantheon is a Basilica, whose dome was studied by Michelangelo before starting his work on the dome of St. Peter’s Basilica. 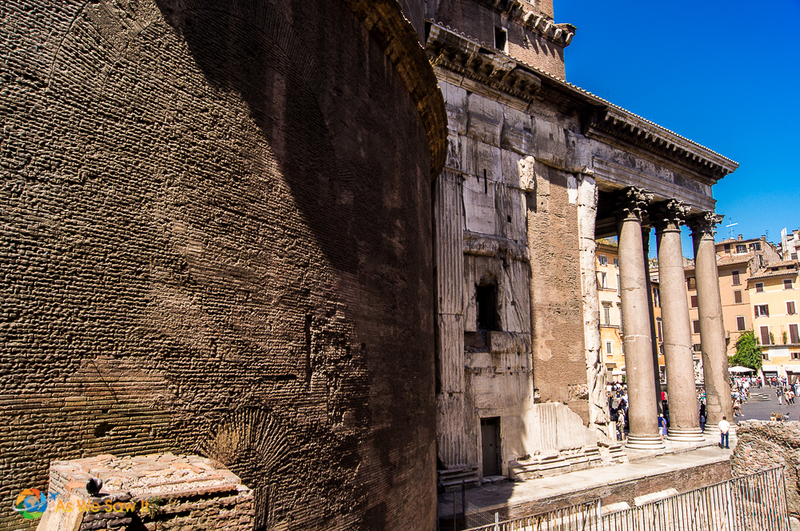 Niches once used for Roman idols are now filled with Catholic idols. 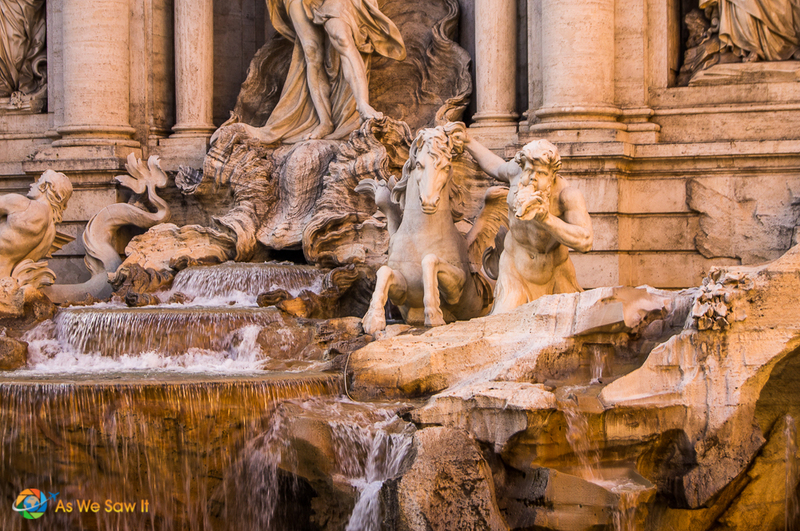 The Fontana di Trevi, Trevi Fountain in English, is the largest Baroque fountain in the city and the most beautiful in the world. 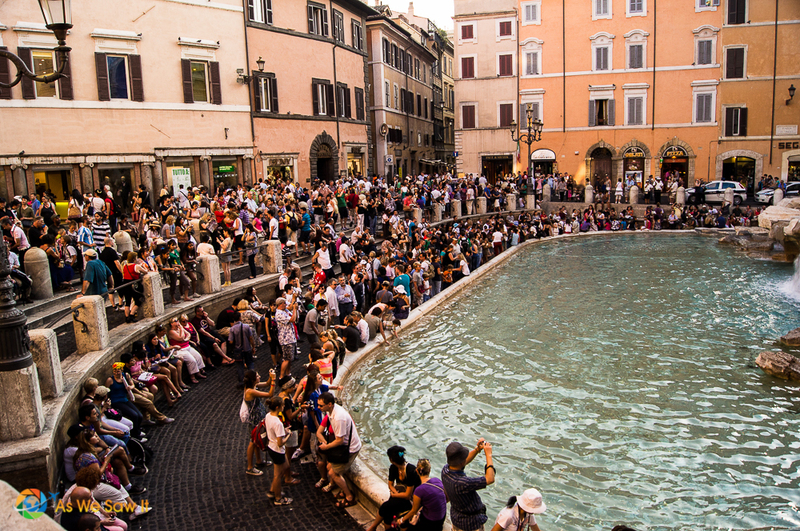 There is a tradition that if visitors throw a coin into the fountain, they are ensured a return to Rome. Hmmm … I wonder what throwing 40 euro coins would do for a return visit? Caution: Large crowds lend to pickpockets. We watched the guy in black do so. Saw this guy all over the city… He must be famous. I don't dare caption this one, but please do so yourself in the comments. Now, that umbrella must have been in a really large drink! 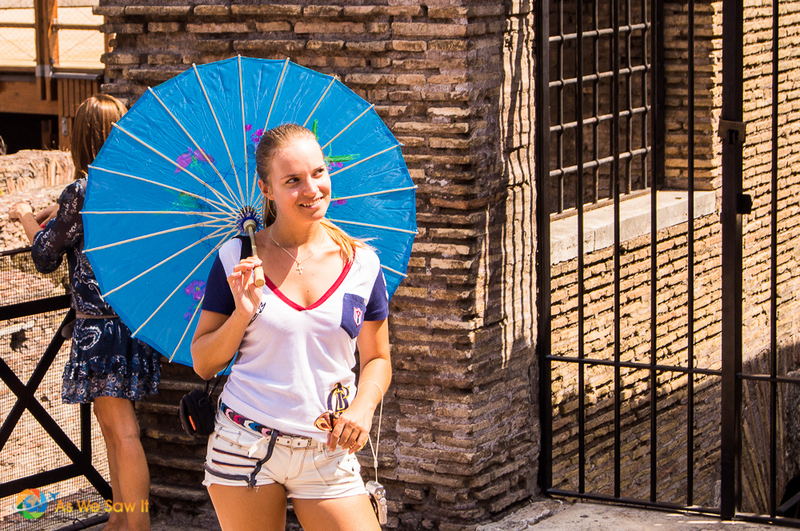 We hope you guys enjoyed our trip to Rome. Luke, you would love the gelato and yes Leia, there is plenty of pasta here even for you! Got to run and catch a train to our next destination. Professional photographer specializing in street, food and travel shots at As We Saw It travel blog. Enjoys catching children at play, showing their innocence in every situation … we all can learn that, to be content with what our Father in heaven has provided. Photography is unique in that it captures light in all forms, and since the Bible says YHVH (God) is light, photography captures Him in many forms. 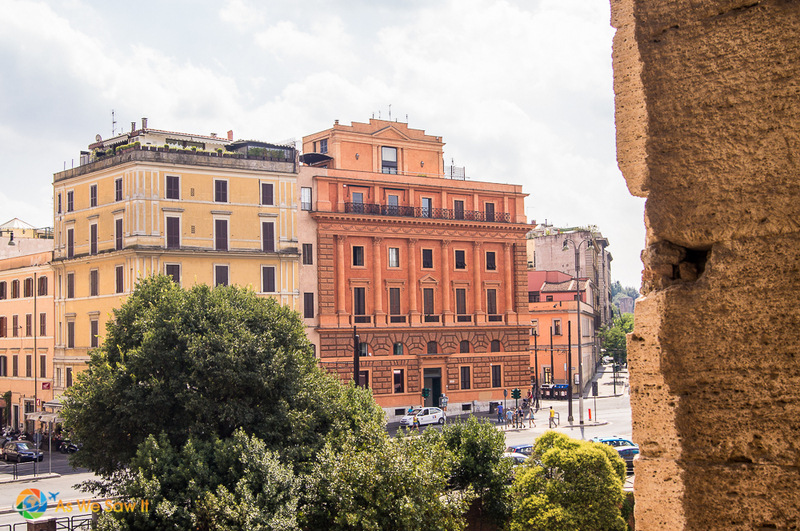 I hope you really enjoy Rome Vlad and make sure you cross the Tiber river to see the sites on the other side. That is a big regret for us. Thank you for you compliments on the photos. Absolutely stunning photos!! 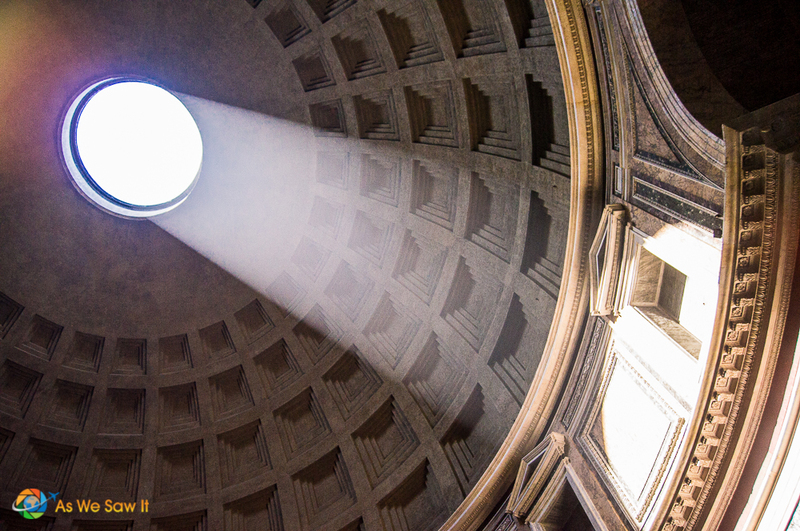 The photo of the oculus at the Pantheon is so classic. Seriously.. You actually saw a pickpocket in action?? Even caught a photo of him! Gosh… And no, I am not going to try to caption that photo either. Thank you Victoria. 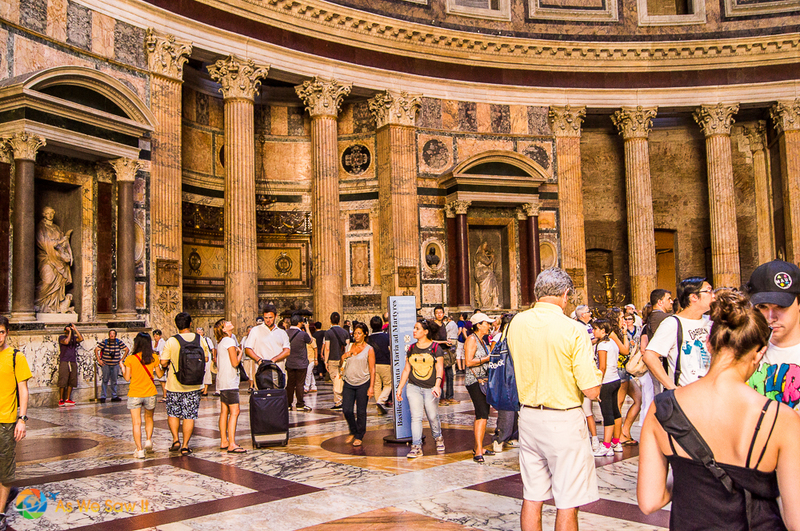 I do agree with you about Rome being overwhelming. Having just 2 or 3 days and trying to see everything is not only overwhelming but impractical and impossible to do. We never made it to the other side of the river or to markets, which is a stay point for us. I do want to go back with more time on my hands and also, as you say, when there are not as many people pushing their schedules upon the rest of us. Thank you Michele. So planking for two is a good description, I thought maybe they were stacking up to rebuild the colesseum. 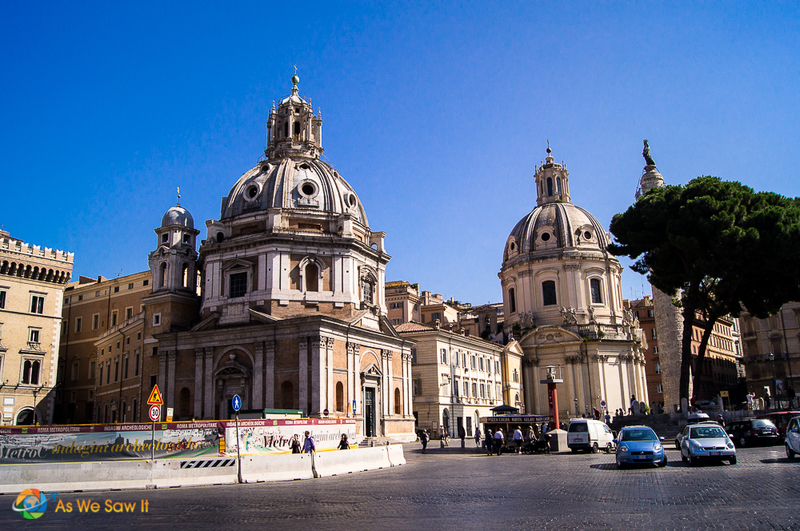 Dan, I really enjoyed your photo walk through of Rome. I haven’t been in the coliseum yet, as it’s always been closed for some reason or another. I’ll get in there sometime though! Did the guy in black actually pick soemones pocket while you were watching him!?! What and adventure you’re having. Hi Jim. The colesseum is fantastic. Very eye-opening to see it live understanding what took place there. YES… The guy in black had a girl he was working with. He picked what looked lick a wallet out of a bag walking in one direction and then passed it to the girl walking in the other direction. Distractions is what lends to this style if heist. Hi Sally, glad the coins work for you. I am not big on those style of traditions, but I do plan on returning. Thank you Kacy. 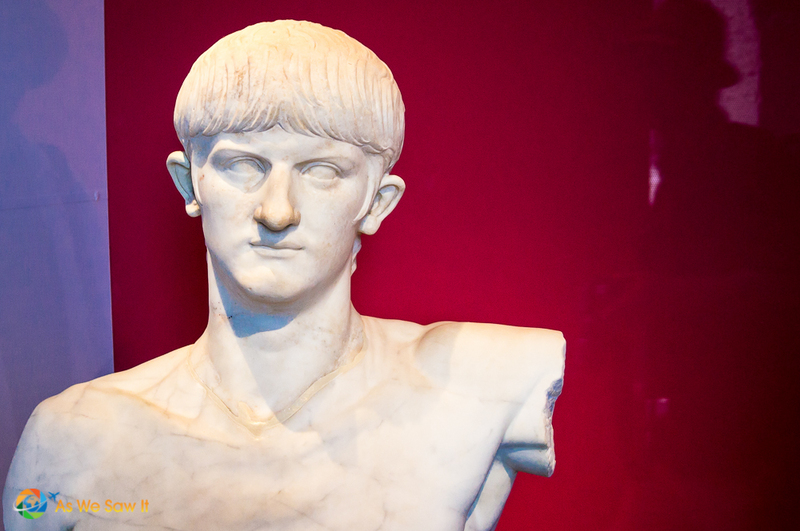 I truly hope you make it to Rome. I want to go back and then explore more of Tuscany. Clare, Thank you for the nice comment on the photos. I agree, anytime in a city of such prominence is better than no time. Your kids will love it. Pinay, Thank you. I do love to people watch… Wait more precisely, tourist watch as they do such silly things all in front of my lens to capture and share what not to do while traveling. 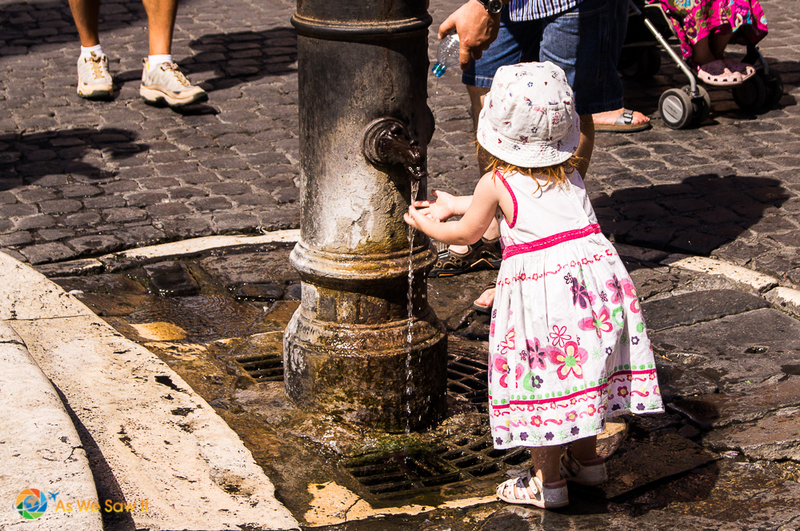 Wonderful photos, you’ve really captured the essence of Roma! We can’t wait to get back there after a very very long time next year. Thank you Katy. I hope you enjoy your trip. Bet the town has changed if it has been that long.